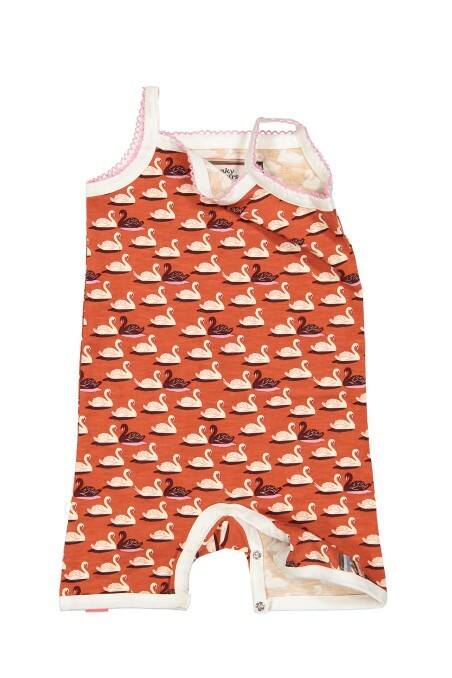 Bright orange baby suit with a beautiful swan print. A baby suit in dark blue colour with a beautiful swan print. 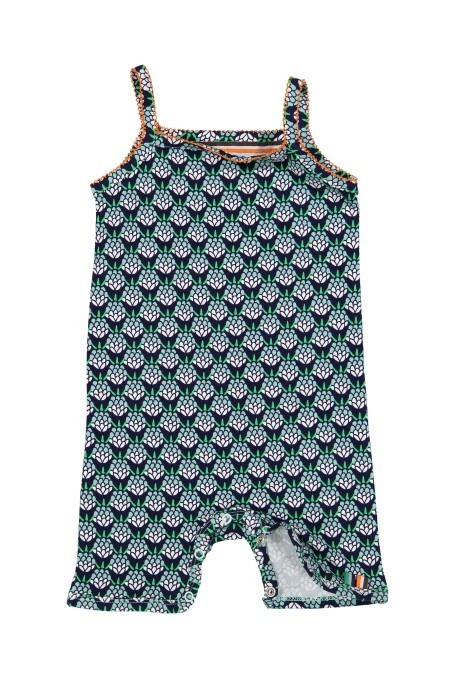 A butterfly print baby suit with a pocket. 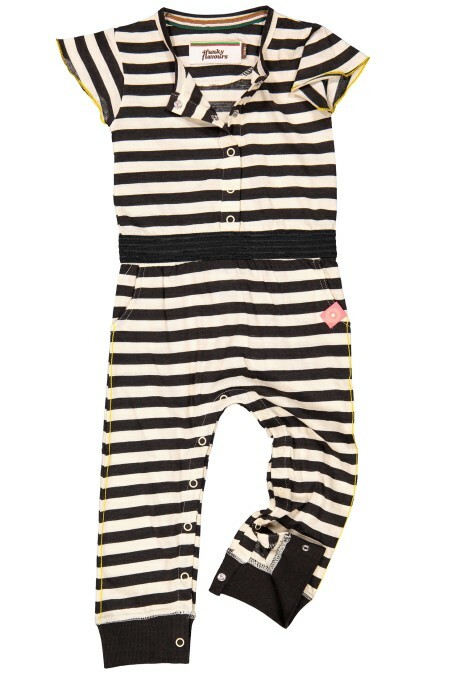 Striped jumpsuit for the active baby. 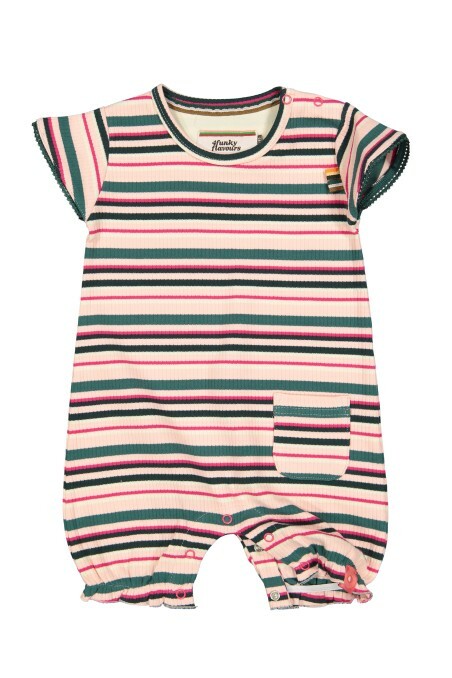 Light pink, striped baby suit with a pocket. 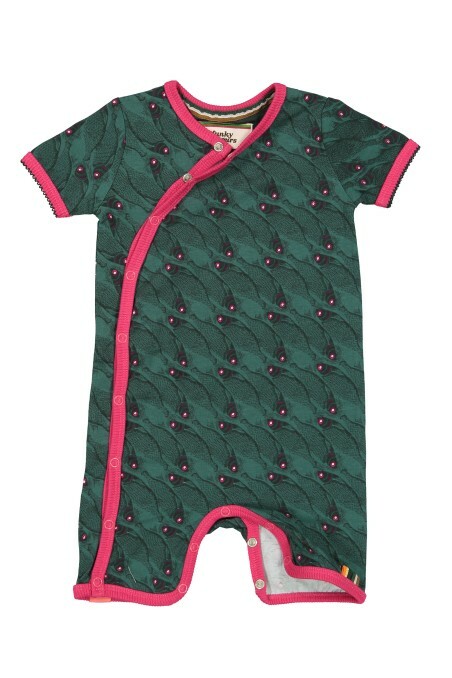 Dark green baby suit with pink hemlines. 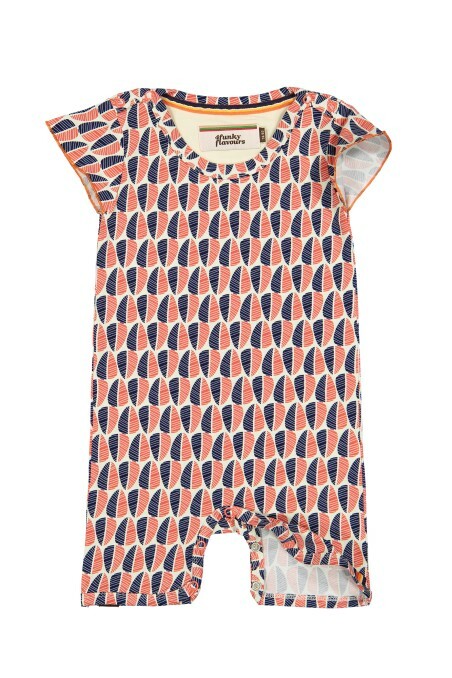 Baby suit with orange and blue leaf print.